2013 Advisory Council: David Crawford, AIA North Carolina / Kim Weiss, Blueplate PR / Caterri Woodrum, NC Museum of Art / Todd Kosmerick, NCSU Special Collections / Queron Smith, M&F Bank / Sarah Sonke, ModernHomeAuctions / Anne Stoddard, Grubb Ventures / Emilie Huin, Coldwell Banker HPW / Frank Harmon, Frank Harmon Architects / Adam Sebastian, Water Robbs Callahan Pierce / Judge Barbara Jackson, North Carolina Supreme Court / Wendy Hillis / Preservation Durham, John Taylor / Advancement Solutions, Shirley Drechsel. 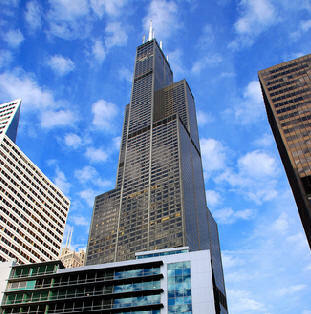 About 80 people attended this 2004 documentary on the great Chicago architect. Knock Knock: The Triangle's Most Unusual Houses is a collaborative series of articles between the Durham Herald-Sun and NCMH to spotlight exceptional residential architecture. 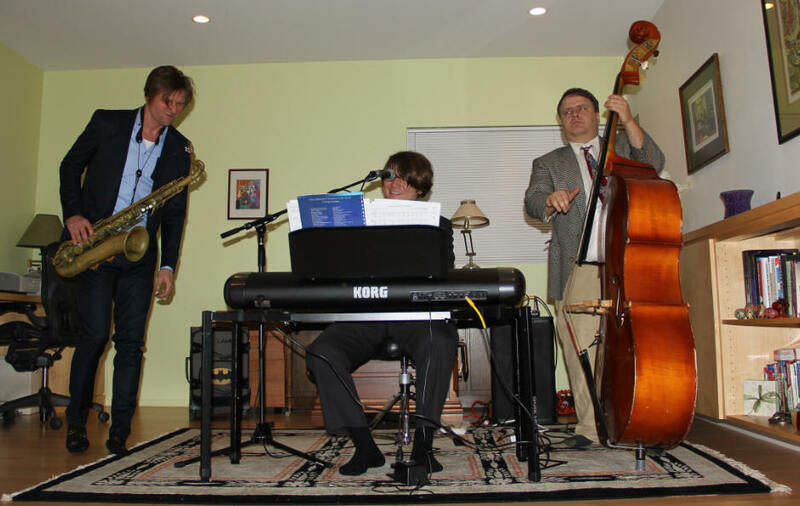 With musical guests Peter Lamb and the Wolves. About 160 people attended. 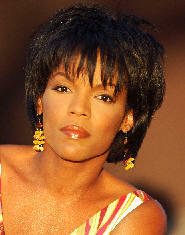 Photos by Ormando Harris. About 100 people visited NCMH's booth at CAM during First Friday. Knock Knock: The Triangle's Most Unusual Houses is a collaborative series of articles between theDurham Herald-Sun and NCMH to spotlight exceptional residential architecture. attended a delicious Italian dinner by our friends at Tarantini's. 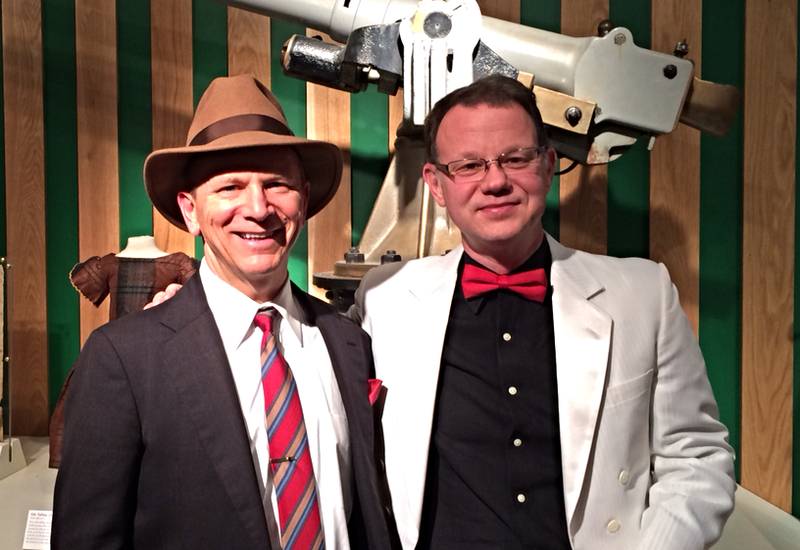 A Mad Men Evening celebrates Raleigh's collection of remarkable architecture from the 1950s and 1960s. 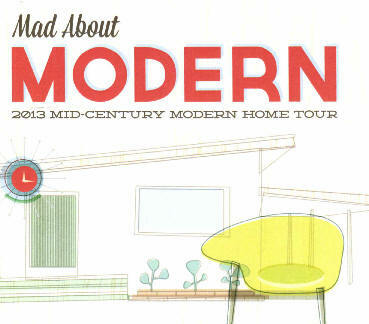 The evening brings to life that "mod" era and includes "Mayberry Modernism," a presentation by architectural historian George Smart, founder of North Carolina Modernist Houses. 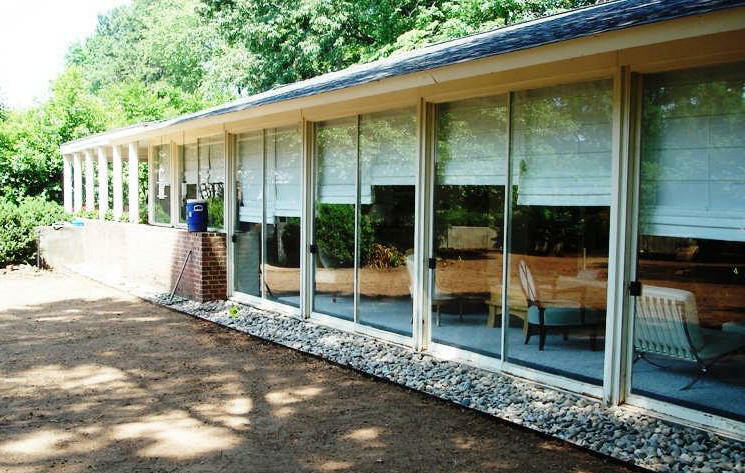 Explore the history of Raleigh's unique homes and buildings, which are now reaching the 50-year mark for historic designation. George's talk, filled with visually stunning slides, brought to life this exciting architectural style that travelled here from LA and Chicago via the founding of the NC State School of Design in 1948. About 85 people attended. Group photo by Leilani Carter. Photo of Ronnie Duncan and George Smart by Eleanor Stell. 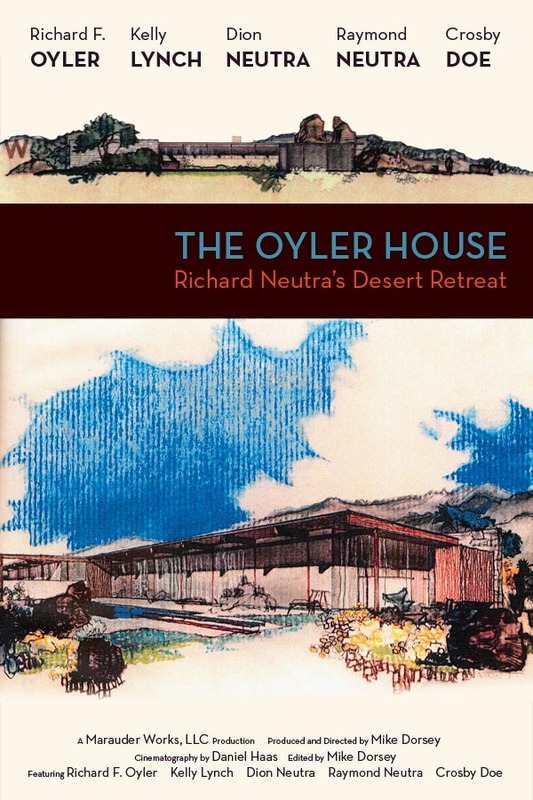 Filmmaker Mike Dorsey introduced The Oyler House, a documentary about a house designed by architect Richard Neutra. Built in 1959, The Oyler House is set amidst the stunning Long Pine desert of California and was a humble commission in relation to Neutra's other projects. Featuring interviews with the original owner of the house (Dorsey's grandfather), Neutra's sons Raymond and Dion, and 2013 owner Kelly Lynch, the film provides insight into the mind of the remarkable architect and his special relationship to the Oylers. About 70 people attended. Like the mythical Brigadoon, Frank Lloyd Wright's Auldbrass Plantation in South Carolina is open to the public for only two days every two years. 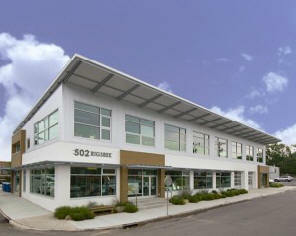 This amazing complex of Wright buildings is owned by Joel Silver, a Hollywood producer. He has painstakingly restored the property and graciously allows the Beaufort Land Trust to have their major fundraiser on the grounds. 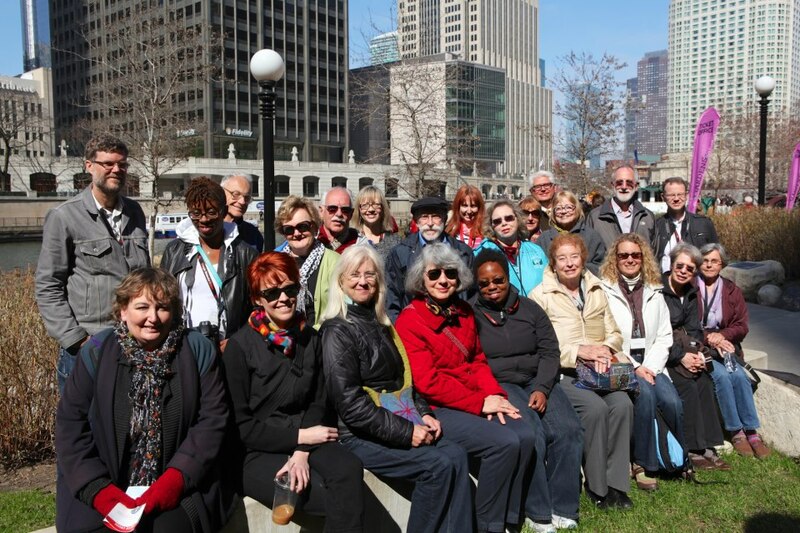 NCMH was the largest group attending the Auldbrass tour. 66 people attended. 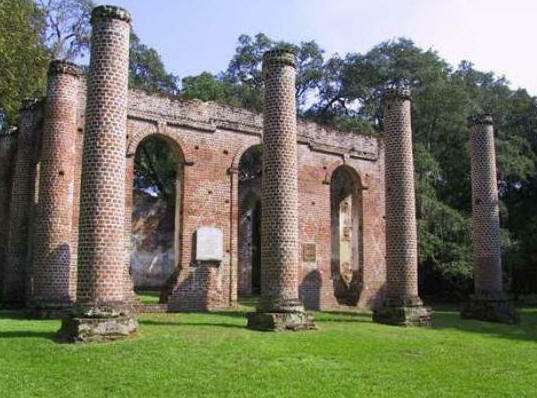 First we had a great welcome and southern BBQ lunch at the Sheldon Church Ruins in Yemassee SC. Then we toured Auldbrass in the afternoon with special guides for our group. 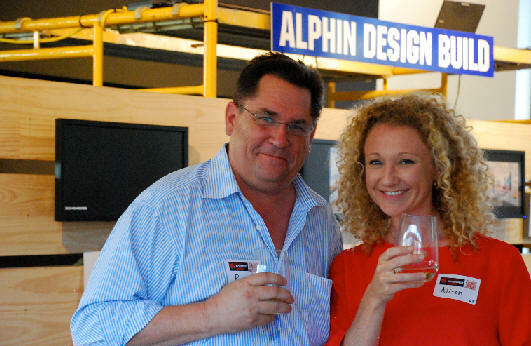 We attended a special lecture event and reception Saturday night by Wright expert Dr. Anthony Alofsin, AIA. 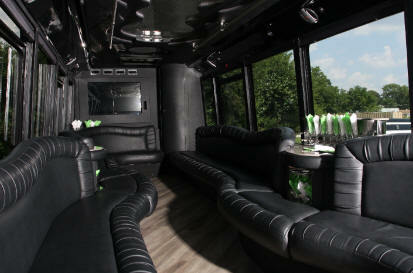 designed by Raleigh's Frank Harmon, led by Frank Harmon. We visited The River House by Charleston architect Whitney Powers, led by Whitney Powers. Sunday had lunch on the grounds of the Inn at Middleton Place, a Modernist hotel designed by W. G. Clark. 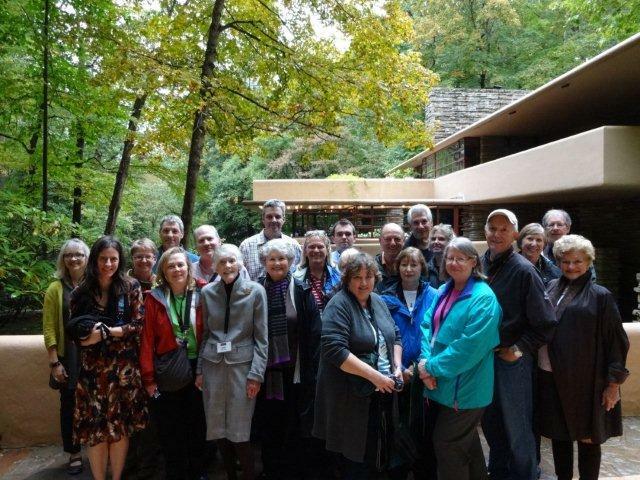 October 2013: 52 people explored seven Modernist houses and one amazing recording studio in Wake, Durham, Orange, and Chatham counties on a beautiful misty fall day. 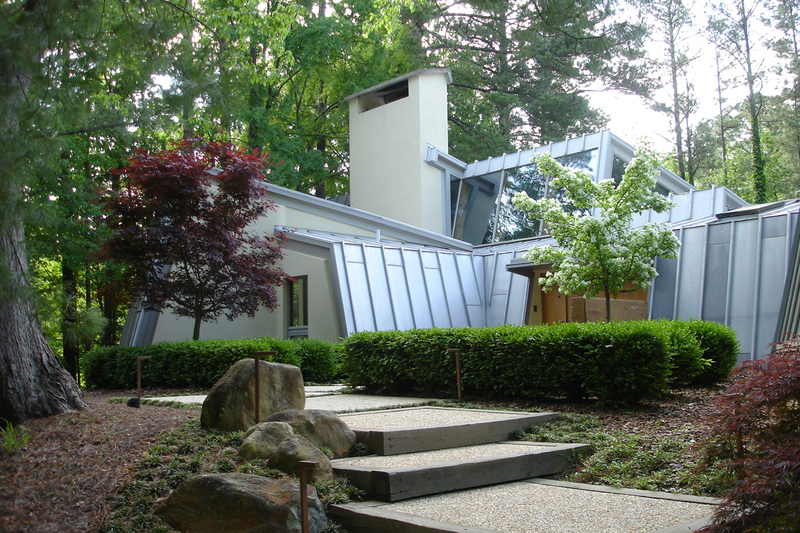 The Protzman/Brown House, Chapel Hill, designed by Arthur Cogswell, renovated by Ken Friedlein. 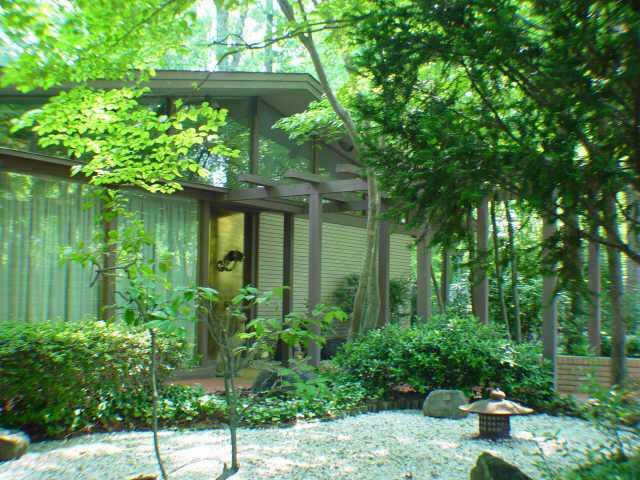 Carr House, Durham, designed by Kenneth Scott, renovation/addition designed by Kenneth Hobgood. The Manifold Recording Studio, Pittsboro. 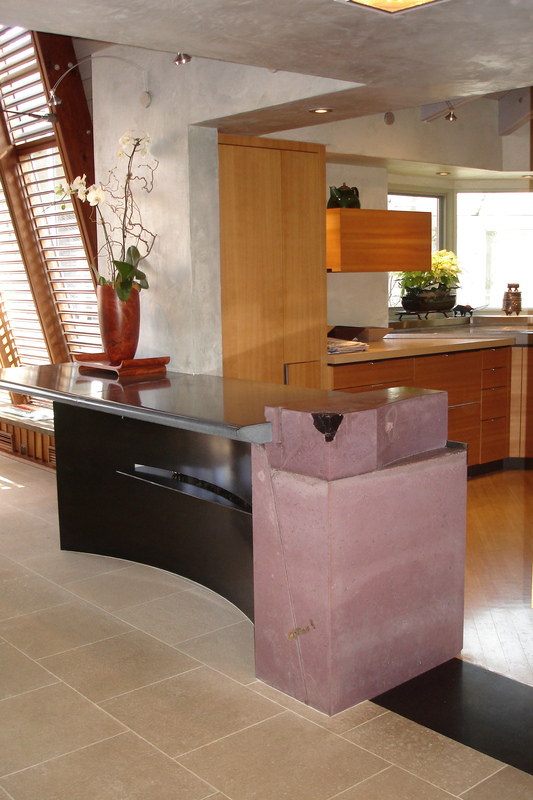 Built by owner Michael Tiemann and designed by Wes Lachot. 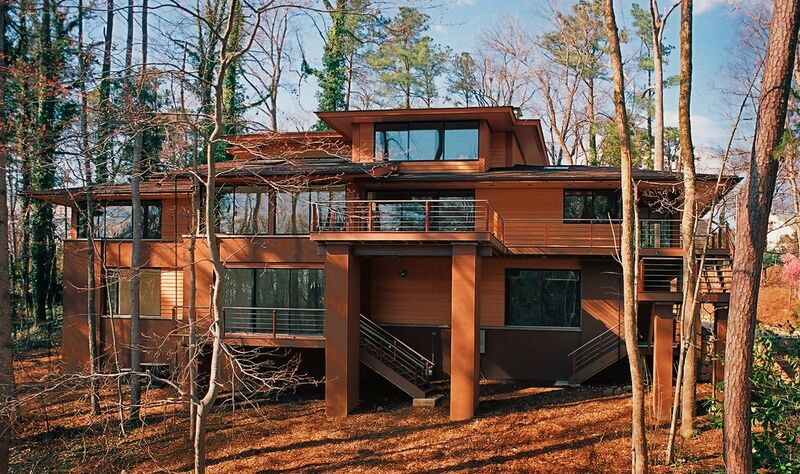 The Chasen House, Raleigh, designed by Erin Sterling Lewis and Matt Griffith. 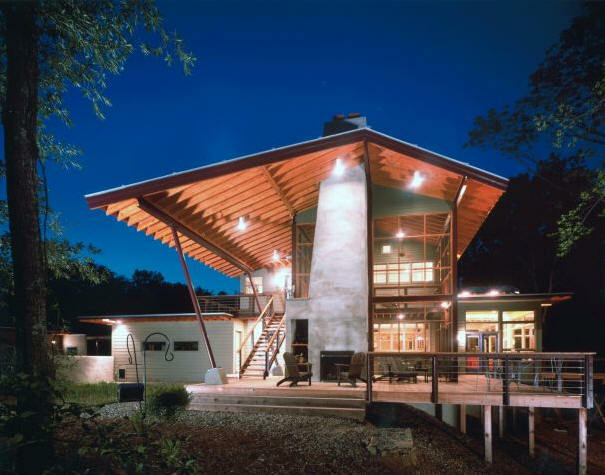 The Kara Pittman House, Carrboro, designed by David Arneson, Center Studio Architecture. Katherine Hogan and Vinny Petrarca. 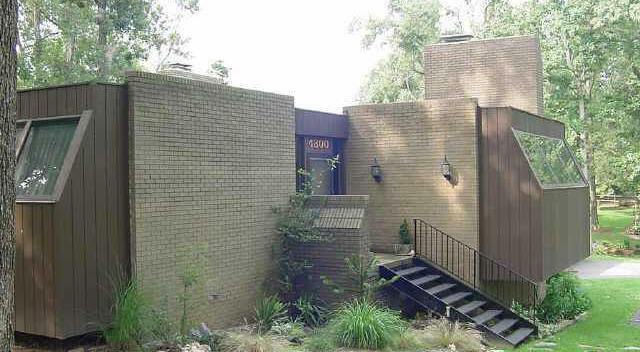 The Fraenkel-Deupree House, Pittsboro, designed by Dail Dixon. 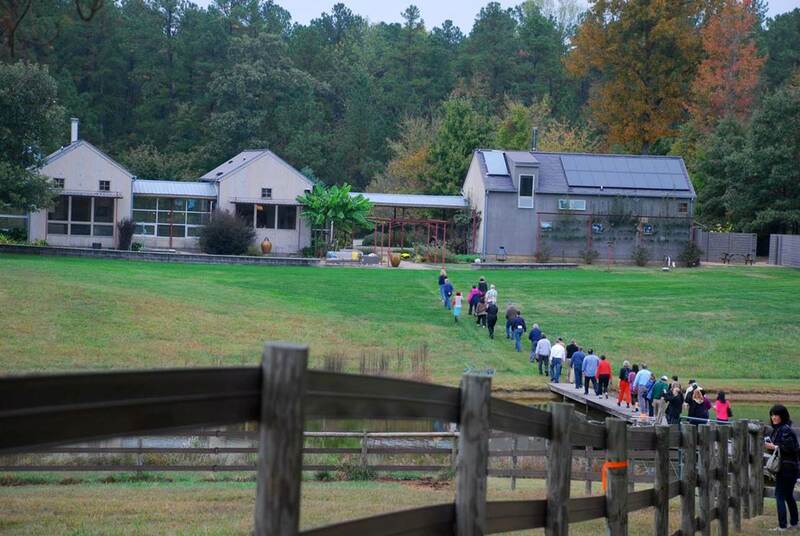 The group entering the Hayes-Cucciara House, Pittsboro, designed by Dail Dixon. Photo by Leilani Carter. The group at Live/Work, with Vinny Petrarca. Photo by Leilani Carter. 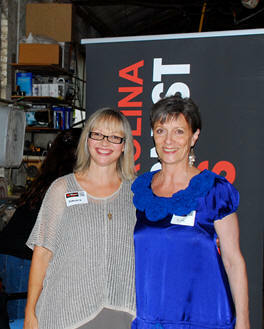 The Tobaccoland Kiwanis Club of Durham hosted at TROSA George Smart speaking on Mayberry Modernism. 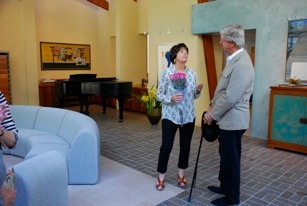 Architect Wade Williams, left, is shown with club President Rita Foley, and Smart. 15 people attended. 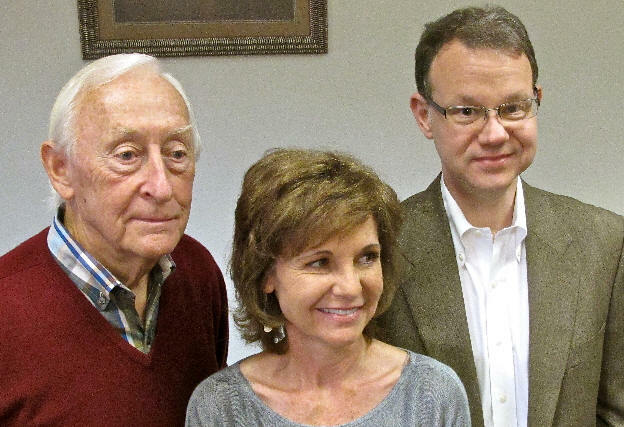 The Raleigh Kiwanis Club hosted George Smart at Highland Methodist Church speaking on Mayberry Modernism. 40 people attended. 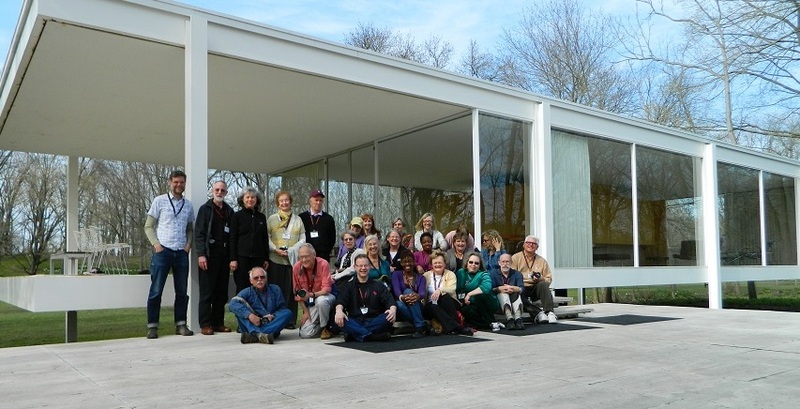 19 people explored great Modernist houses from the comfort of one of the most tricked-out buses in North Carolina, visiting six houses hosted by the Ed Loewenstein Legacy Project and two other Greensboro-area Modernist houses open only to NCMH guests. 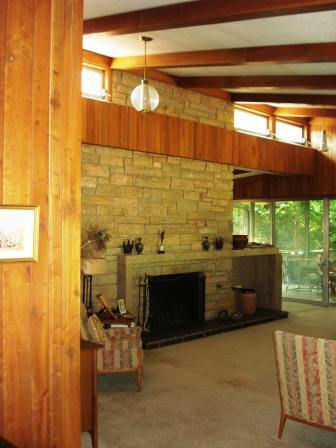 The 1951 Wilbur & Martha Carter Residence, designed by Loewenstein. 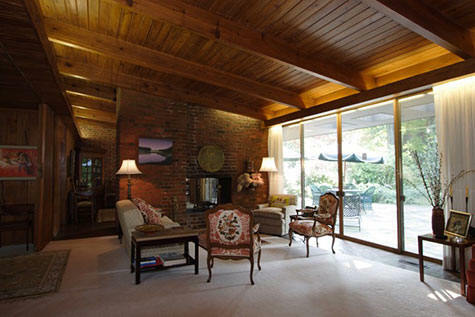 The 1954 Edward & Frances Loewenstein Residence, designed by Loewenstein. 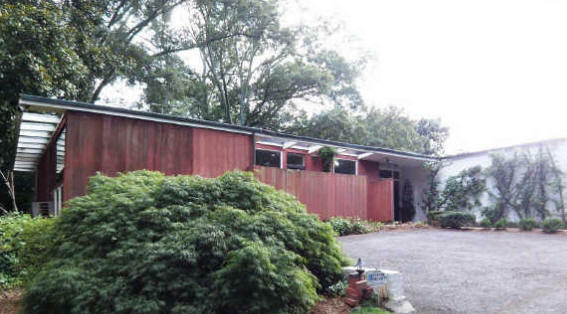 The 1955 Sydney & Katherine Stern Residence, designed by Loewenstein. 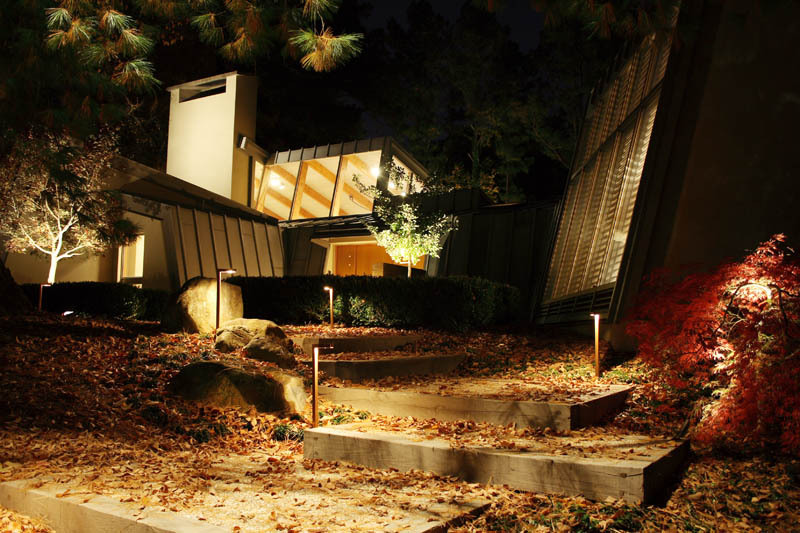 The 1959 John & Evelyn Hyman Residence, designed by Loewenstein. 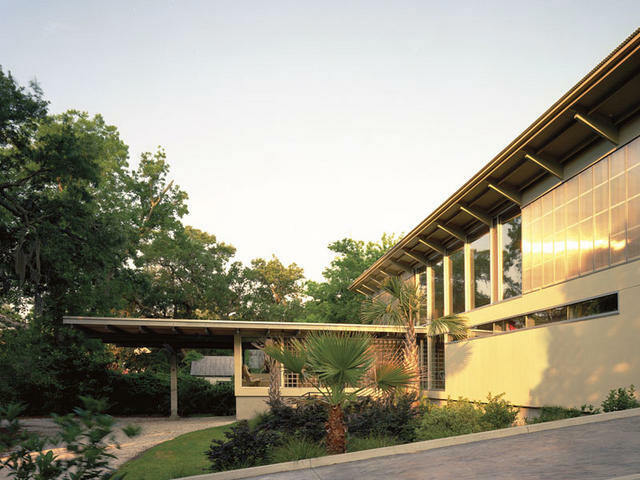 The 1968 Charles & Fannie Fountain Residence, designed by Gerard Gray. The William & Ruth Hitt House, architect unknown. According to one of the past owners, the architect/builder used materials from one of his other projects, the Four Seasons Mall, which was under construction about the same time. The 1999 John and Martha Leath Residence, Burlington NC. 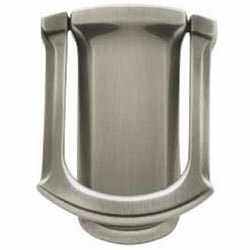 Designed by Ellen Weinstein. 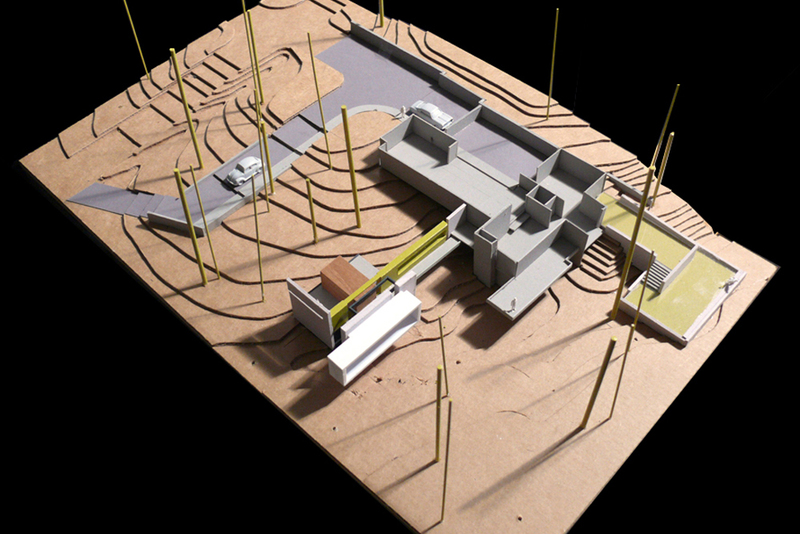 David Swanson and Associates were the landscape architects. Photo by James West. We stopped for a group photo at the Greensboro Guilford County Government Centerdesigned by Eduardo Catalano, one of the best examples in NC of Brutalist Modernism. 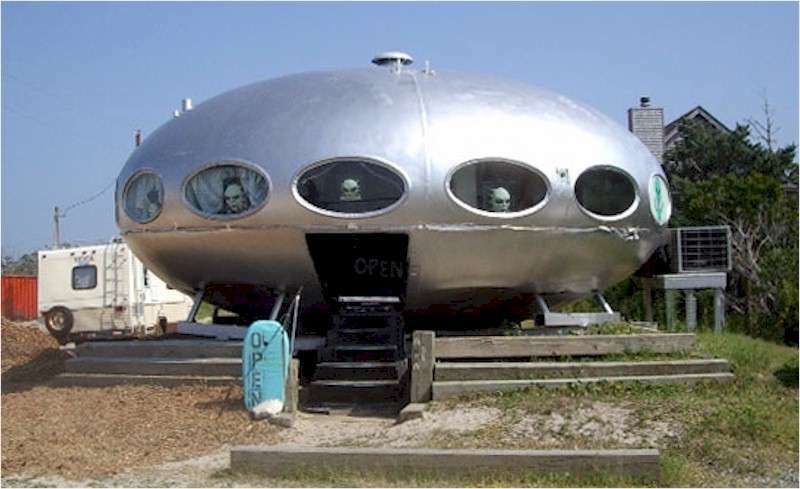 This short film is a journey back in time about the rise and fall of the plastic Futuro house, a Space Age utopia that was a complete marketing failure. In 1965, Dr. Jaako Hiidenkary asked architect Matti Suuronen to design a ski cabin. This project turned into a story full of international colour and drama, tracing the development of Suuronen's "purely mathematical idea" into a multipurpose commodity eventually destroyed by time and public opinion. But it was really a cool concept! The film reveals Eichler’s genius departing from cookie cutter suburban tracts of the postwar era. His single-family innovations were part of intentional communities built around common use parks and pools, where Eichler neighbors gathered for patio cocktails and annual 4th of July block parties. 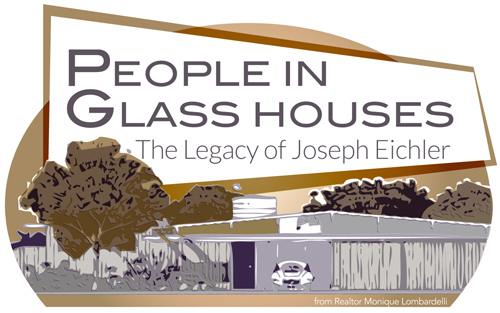 In one San Jose CA subdivision, three generations of the same family own Eichler homes. They speak about returning to a simpler time when kids played ball on cul-de-sacs at night and share resources for maintaining the integrity of the original glass wall structures. About 70 people attended. Nearly everyone walked away with a door prize! 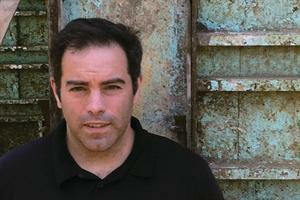 NCMH's George Smart was a juror for this annual food drive/design competition. one of America's best-known houses by its best-known architect! 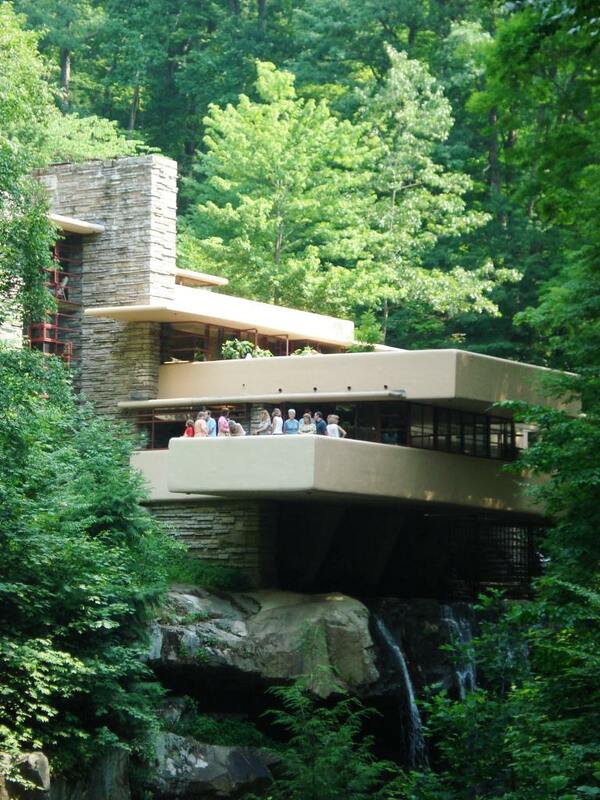 Frank Lloyd Wright's masterpiece, Fallingwater: included the Sunset Tour, their very best, concluding with a private reception. Kentuck Knob, also by Wright, is just down the road from Fallingwater. Still in private ownership, we had a full tour of the exceptional house some say is overshadowed by its more famous sibling. 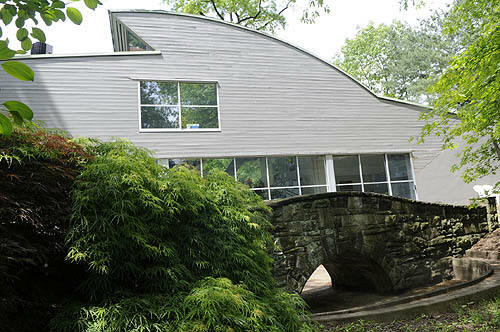 The Irving and Betty Abrams house, Pittsburgh, designed by Robert Venturi. 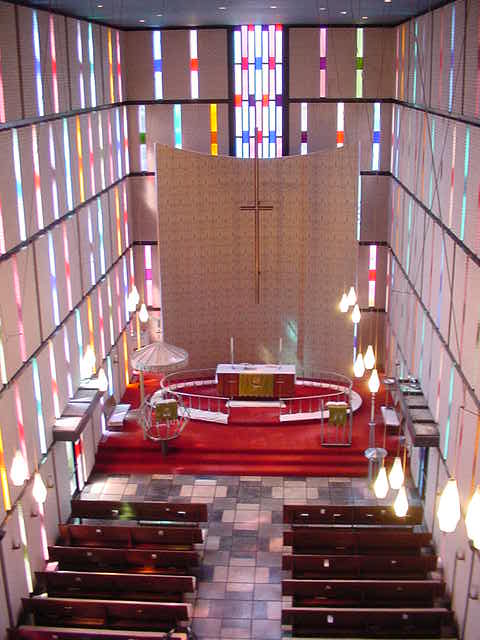 Interior design by Noel Jeffrey. No walls separate the home's kitchen, living room, bars and dining room which are all visible as soon as you enter the first floor. 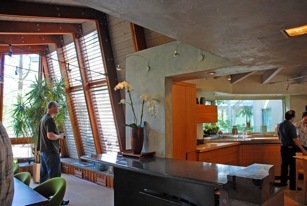 The home's most dramatic feature is a floor-to-ceiling window that is shaped like a ship's wheel and cut into eight pieces. 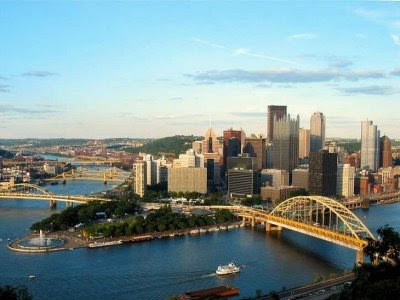 After touring these great houses, we relaxed on a cruise through the architecture of downtown Pittsburgh area. 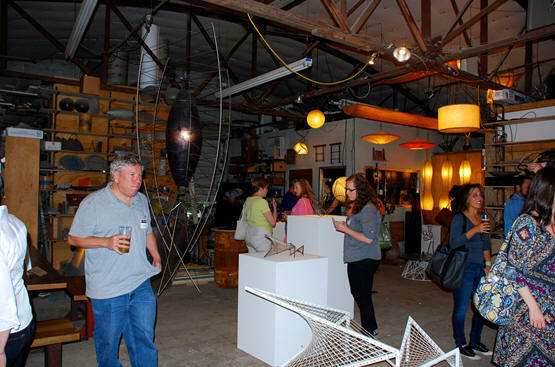 About 70 people came to Straw Valley Cafe, a magical oasis of buildings that's been restored from a Modernist house and a retail building into a coffee bar, wine bar, stores, a courtyard, and event hall. 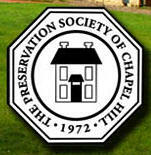 Co-hosted with Preservation Durham. 70 people attended. 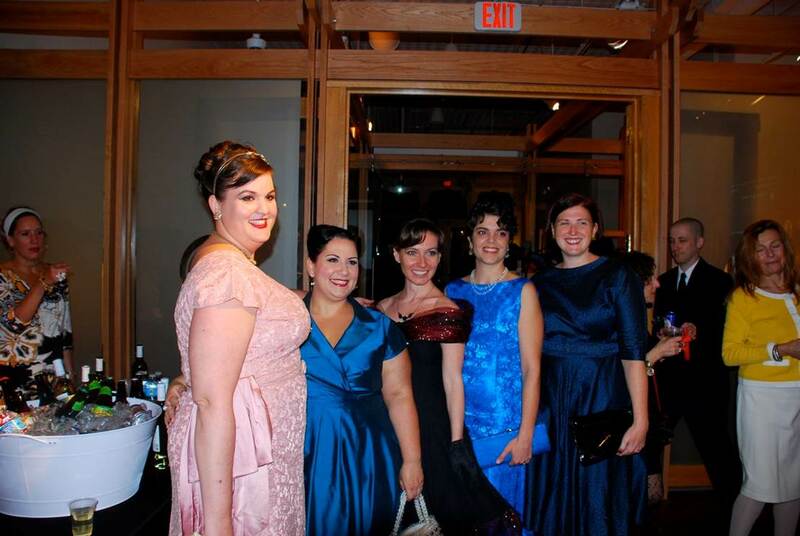 Group shot by Leilani Carter. 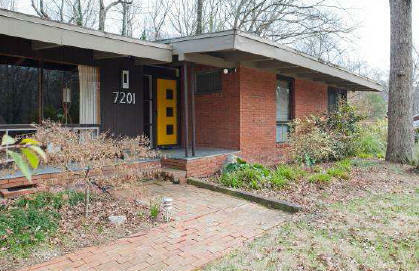 George Smart spoke on North Carolina's Modernist houses to about 25 realtors. About 135 people attended McConnell Studio's always-spectacular Thirst4Architecture on a uncommonly cool Carolina evening. Photos by Leilani Carter. 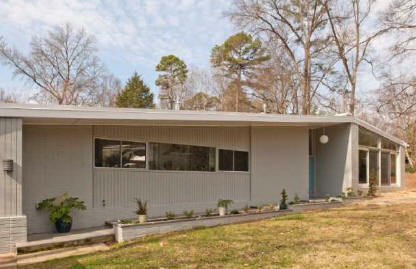 George Smart spoke on North Carolina's Modernist houses to an enthusiastic group of 50 people. 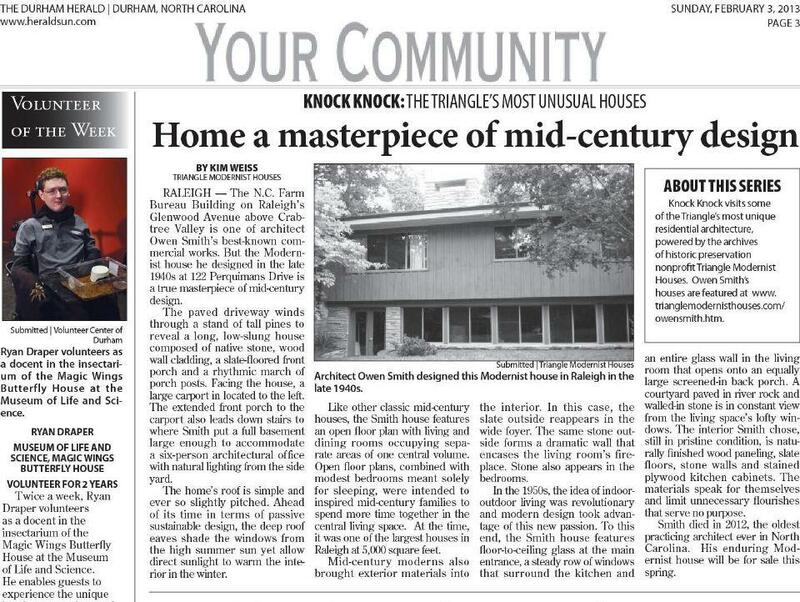 Knock Knock: The Triangle's Most Unusual Houses is a collaborative series of articles between the Durham Herald-Sun and TMH to spotlight exceptional residential architecture. 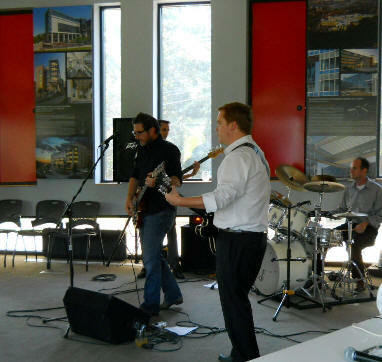 TMH officially became NCMH at a special T4A at the AIA Center for Architecture and Design in Raleigh, featuring the all-architect rock and roll band Eyes Go Lightning, drinks provided by Foundation Bar and Alphin Design Build, a champagne toast by Alison Steele to celebrate the change from TMH to NCMH, and tours of the building's audio-video systems by Smart Homes and Business. About 110 people attended. 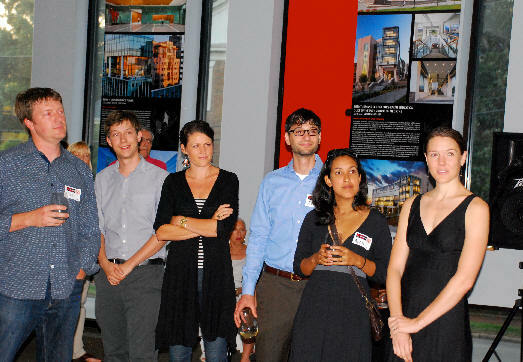 The staff of in situ studio and their clients for the Chasen House. Photo by Leilani Carter. Featuring food, drinks -- and music by Ron Moss. About 70 people attended. 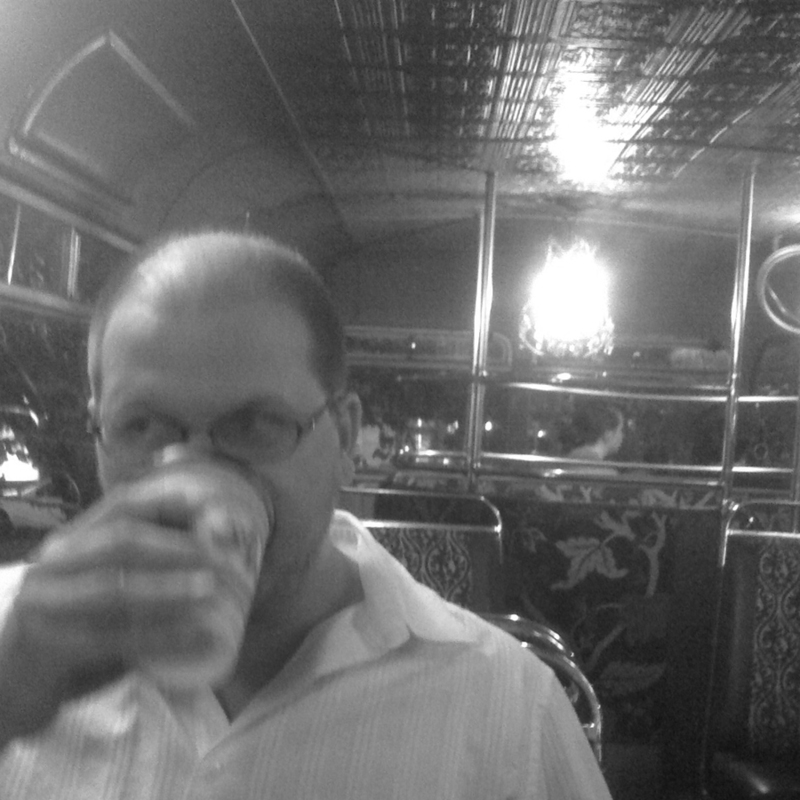 Photos by Leilani Carter. 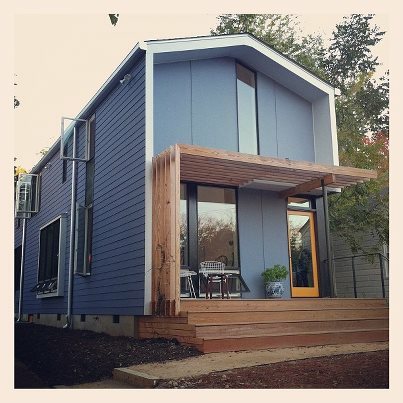 A whopping 175 people connected with architects Matt Griffith and Erin Sterling Lewis and their unique style of small, green, affordable, energy-efficient Modernist houses. 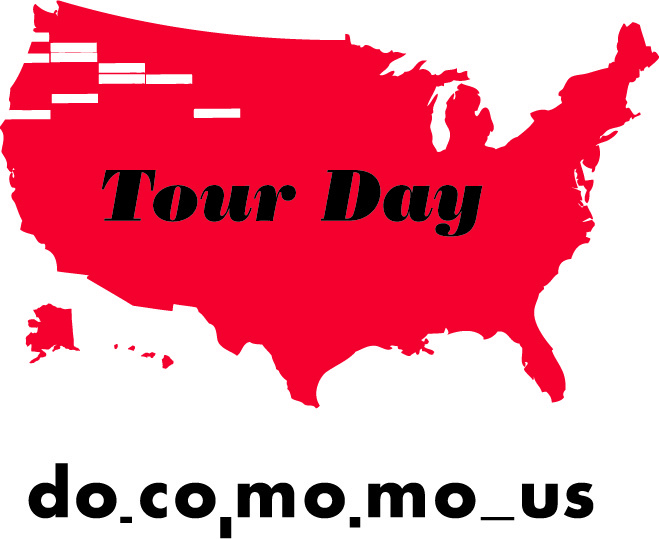 42 people attended this Modernist day trip with four houses from Historic Charlotte's Mad About Modern and the rest arranged independently by TMH. The 1964 Mitchum House, 7212 Benita Drive, designed by architect Aubrey Arant. 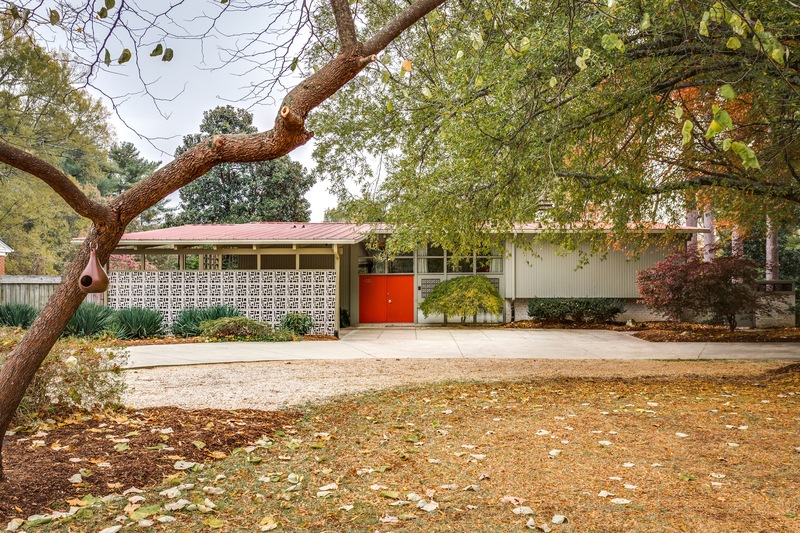 The 1956 Biggs House, 7201 Benita Drive, designed and built by Neal Arch Biggs, modified from a Better Homes and Gardens plan. 2015 Cloister Drive, renovations by Crutcher Ross. 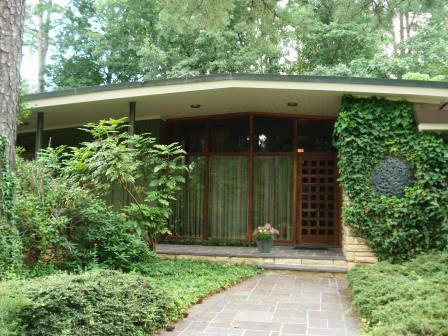 The 1956 Hyman Polk House, 2101 Cloister Drive, designed by architect Jack Boyte. The Lassiter House designed by A. G. Odell. Almost destroyed two years ago, the house has been beautifully restored. The award-winning 1959 Holy Comforter Lutheran Church in Belmont NC, designed by A. G. Odell. 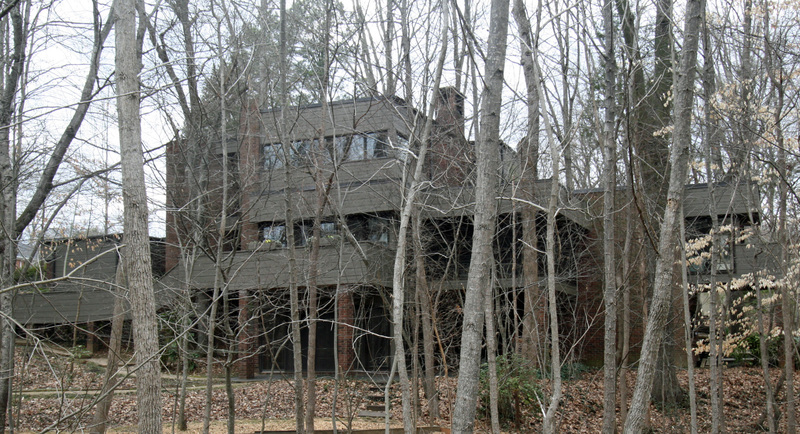 The 1989 Marilyn K. and Jerome T. Rodgers House,designed by Overcash Harris of Charlotte. 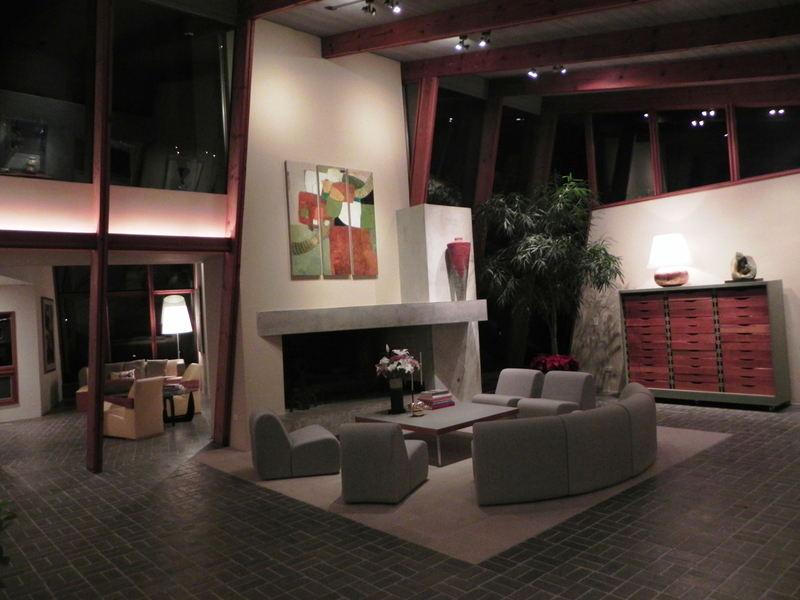 The project architect was Tony Miller, who also did subsequent renovations and additions. 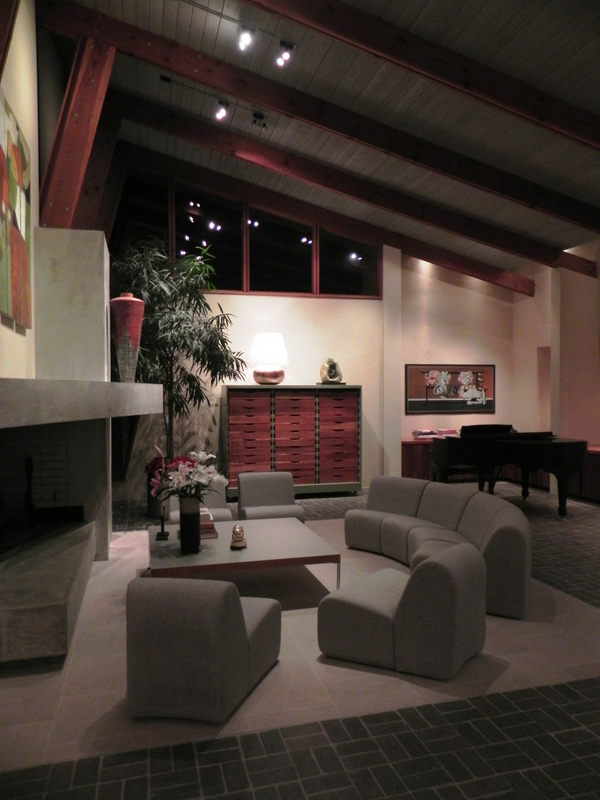 The 1982 Mike and Barbara Bernath House, the first house designed by architect Stan Russell that was built. Still with the original clients! 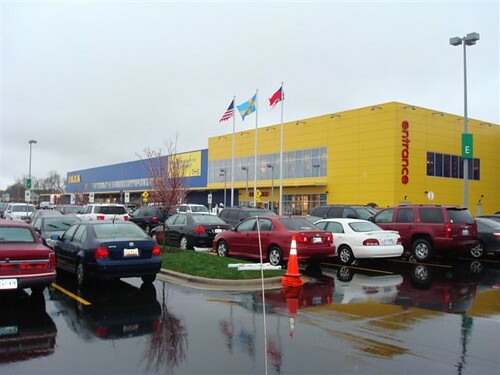 And, on the way home, we stopped at IKEA. houses to a Durham Prudential office. 10 people attended. The 1951 Farnsworth House by Mies Van der Rohe in Plano, Illinois. <! 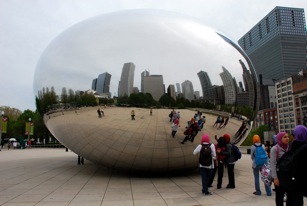 [endif]>24 people spent three exciting days hitting some of the high points of Chicago-area architecture. Group photo by John Morris, who joined us for the Chicago Architecture Cruise, as did Raleigh Modernist homeowner Adrianne Joergenson, who is finishing up a Masters degree in Architecture in Chicago. We joined Randy Lanou and Erik Mehlman of Buildsense and their team's amazing new Green offices, complete with wind power, solar power, sustainable materials, even a charging station! They transformed an old Tire King into a state-of-the-art green building that is home to BuildSense, ClearVue Glass, and a yoga studio. Through the implementation of numerous energy saving strategies and clean energy generation systems, the building utilizes about 35 percent of the energy required to power a typical building of the same size and use. 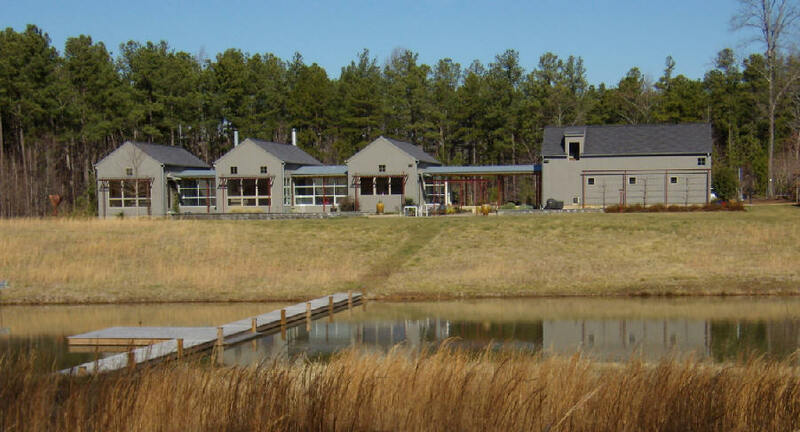 The project awarded the Triangle Business Journal’s Green Commercial Project of the Year. Over 60 people attended. Owner Wendy Robineau with Frank Harmon. 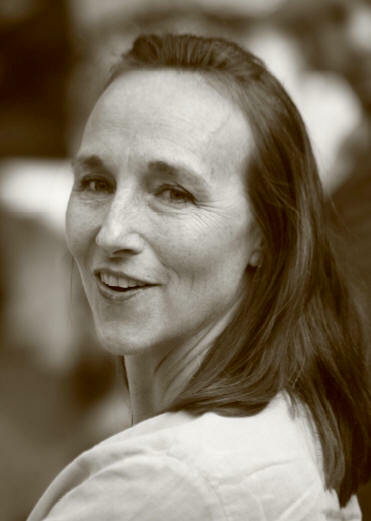 Harmon's wife Judy was the landscape architect for the front entrance. 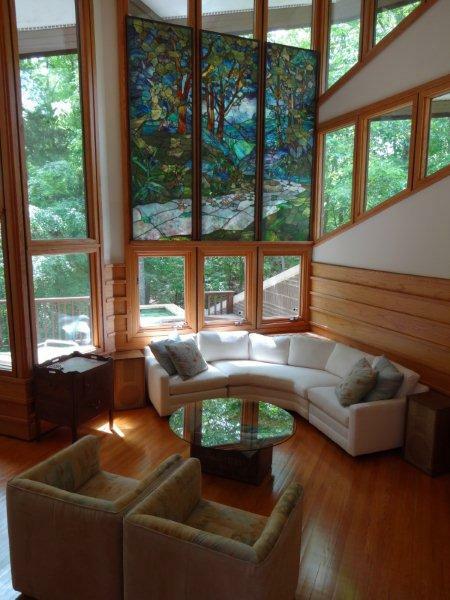 The spectacular 1973 Arthur and Florence Larson Residence in Durham was commissioned to Chapel Hill architect Jon Condoret in 1971. 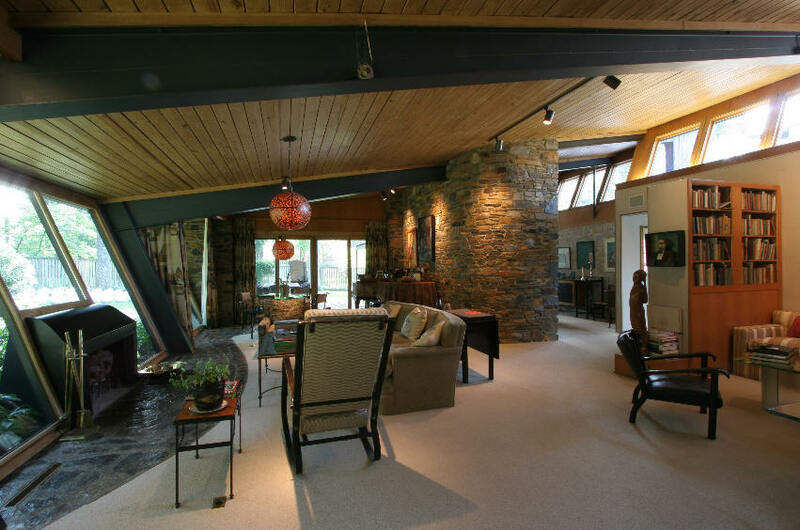 Over the next few decades, the Larsons frequently entertained their friends and fellow Duke faculty, including many classical music concerts in the large living room. 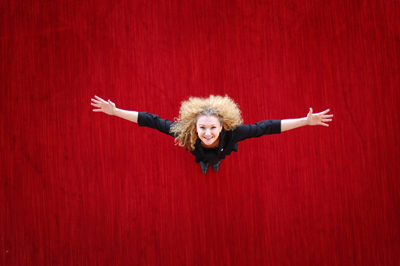 Photos by Wendy Robineau and Leilani Carter. Originally, the Larson house was 4825 sf. When the Larsons sold, new owners engaged a renovation designed by California architect Fu-Tung Cheng and built by Landmark Renovation. Landscape architect Judy Harmon did the entry design. 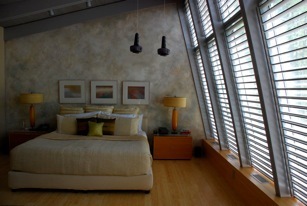 In 2011, there were master bedroom renovations, expanding the house to 6040 sf. Over 400 attended! Construction Specifications Institute to an audience of 35. 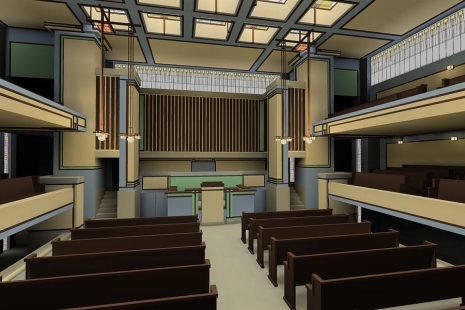 George Smart spoke about early women architects in North Carolina. 12 people attended at the Horace Williams House. Four won door prizes! 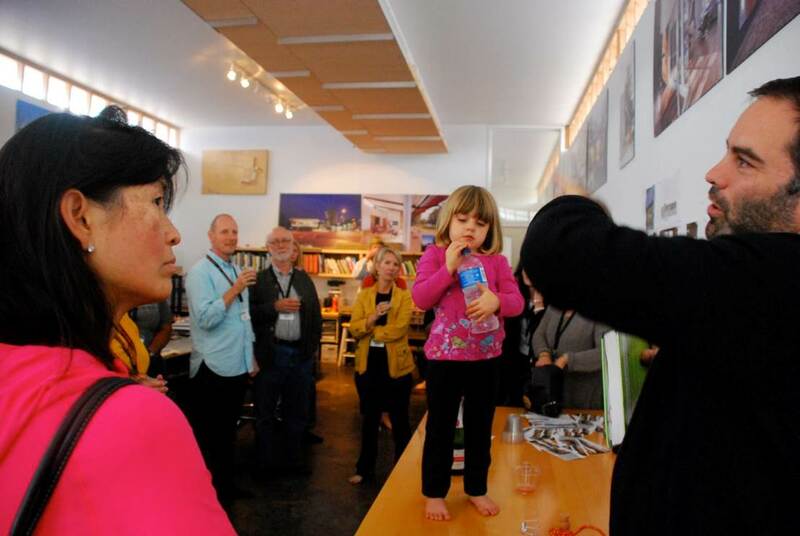 TMH's programming connects hundreds of people within the architecture-loving public during the warmer months through networking events called Thirst4Architecture (T4A). 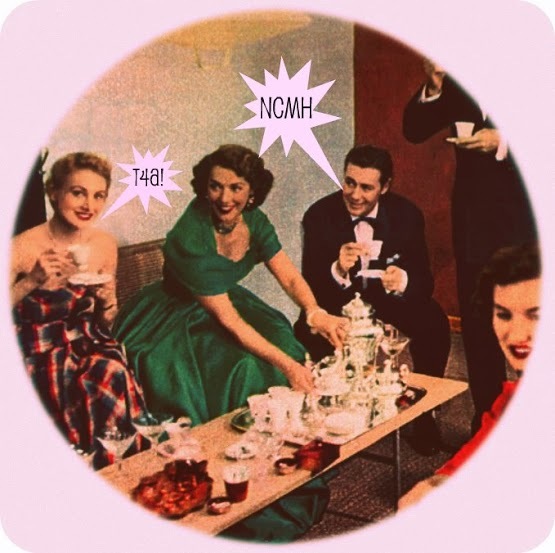 These free, exciting, informal happy hours are free and open to the public. 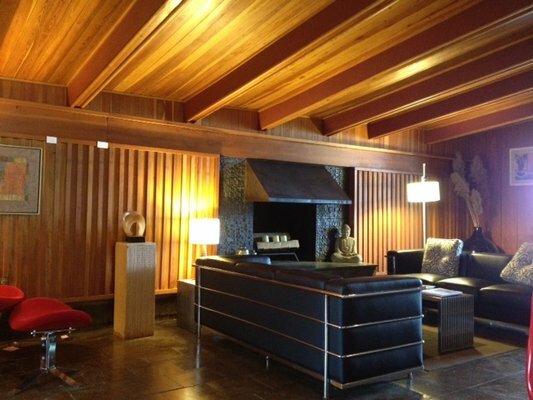 We welcome Modernist homeowners, architects, artists, designers, realtors, engineers, contractors, property investors, building managers, Modernist homeowners, materials and furniture dealers – or anyone with a huge crush on great architecture. 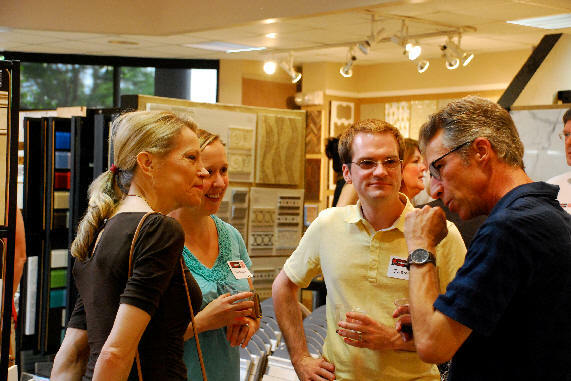 T4A events focus on building relationships, generating passion about good design, creating strategic alliances, and connecting people to each other. 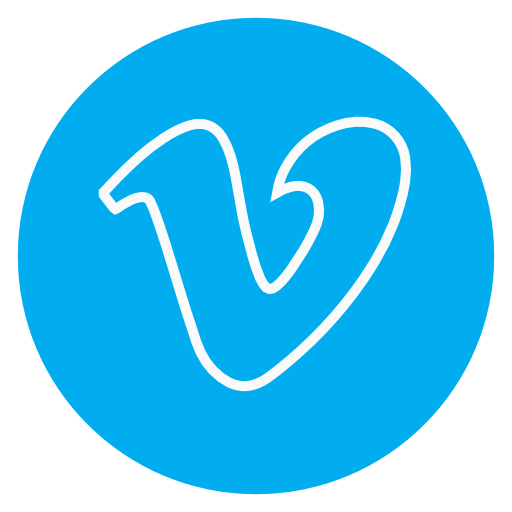 There are no presentations -- just come join the fun and make new design friends and contacts! 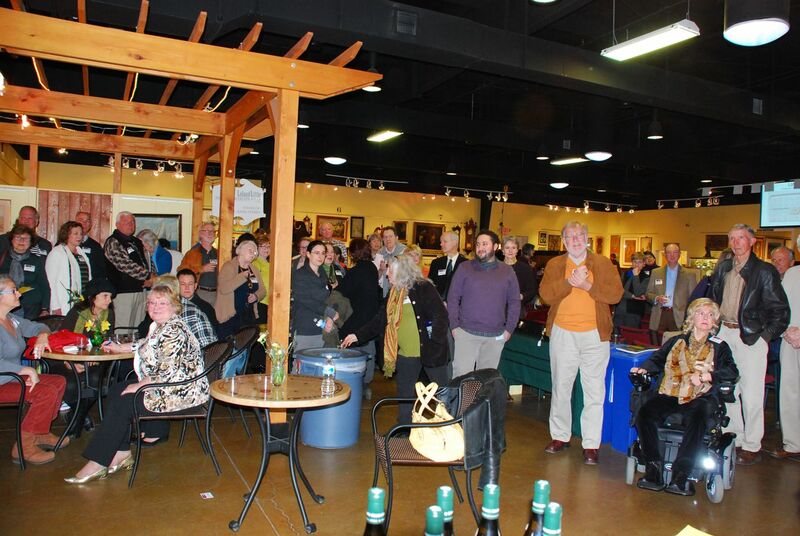 Featured free refreshments and a look at the operations of the Triangle's largest art, furniture, and wine auction house. Hillsborough Mayor Tom Stevens was there to welcome the 95 people who attended. 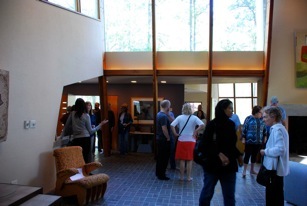 George Smart spoke on Mayberry Modernism to an excited crowd of 65 real estate agents. George Smart spoke on Mayberry Modernism to an enthusiastic audience of 40 people in a building designed by Edward Loewenstein. 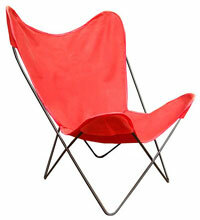 The husband-and-wife Charles and Ray Eames are widely regarded as America’s most important designers. Perhaps best remembered for their mid-century plywood and fiberglass furniture, the Eames Office also created a mind-bending variety of other products, from splints for wounded military during World War II, to photography, interiors, multi-media exhibits, graphics, games, films and toys. Over 85 people attended. 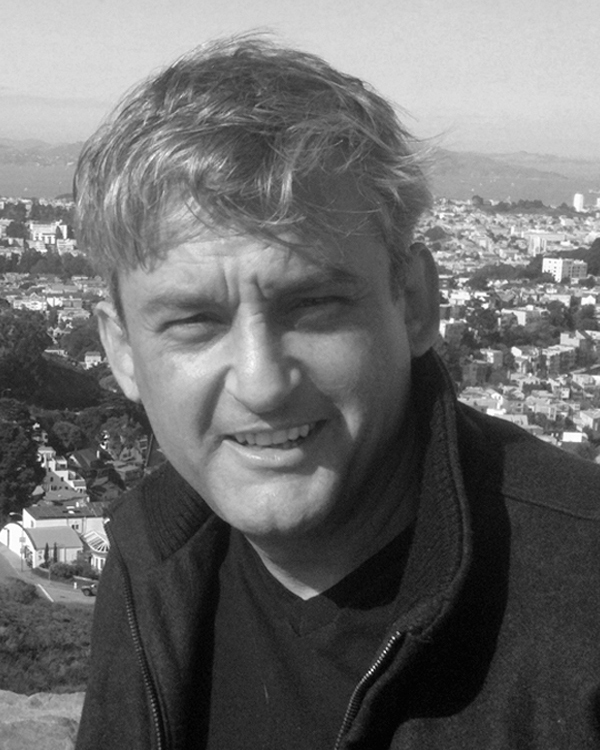 Owen Smith was the longest practicing architect in North Carolina until he died in 2012. 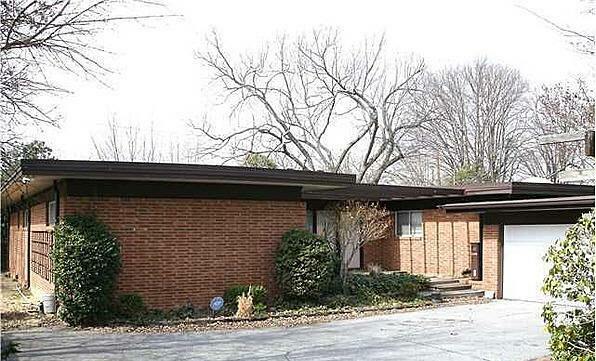 The 1960 Owen and Dorothy Smith Residence, designed by Owen Smith, is 5,000 square feet, one of Raleigh's largest Modernist houses of the mid-century era. The house has not been on public tour since 1960. 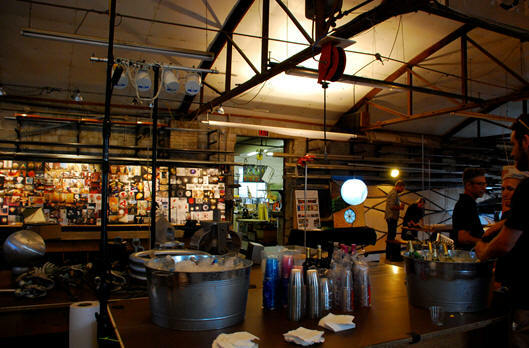 Smith used the basement for about a decade as an architectural office with a staff of six. Smith and his family have owned it for over 50 years. 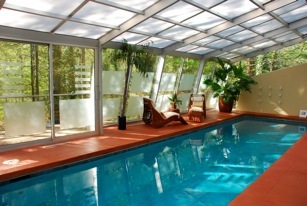 Beautifully maintained, the house will be going on the market later in 2013. Over 300 people attended. Ellen Cassilly, Phil Freelon, and Nneena Freelon. What did internationally-known architect Phil Freelon do when faced with designing his family's 2200sf penthouse condo in downtown Durham's Kress building? He hired an architect! 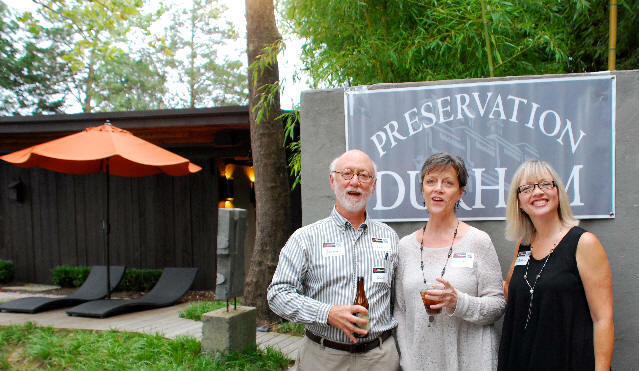 Phil, his wife Nneena, and architect Ellen Cassilly discussed their unique collaboration on one of Durham's most unique residences. The 1933 building is one of the largest and most elaborately decorated Art Deco buildings in North Carolina and was the site of lunch counter sit-ins during the 1960's. 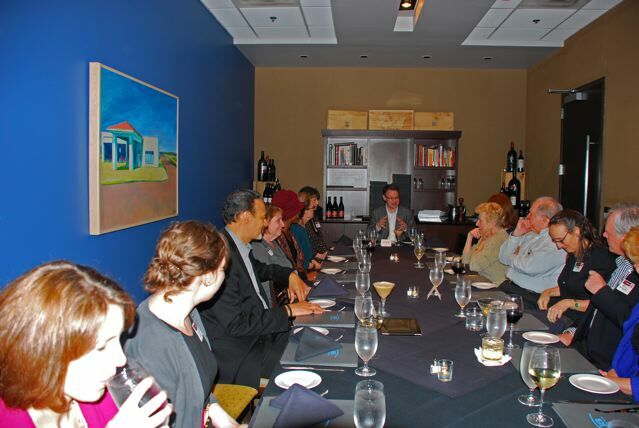 A4A dinner events are rare opportunities to enjoy easy, informal discussions in an upscale dining environment. You have direct access to some of the area's best residential architects to explore design, homebuilding, the economy, furnishings, real estate - or anything else on your mind! 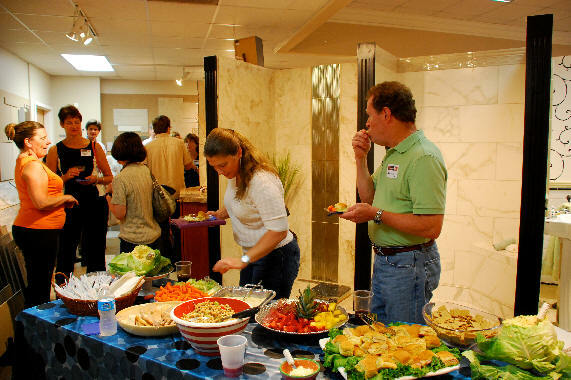 There are no presentations or powerpoint slides -- just great conversations with award-winning cuisine. 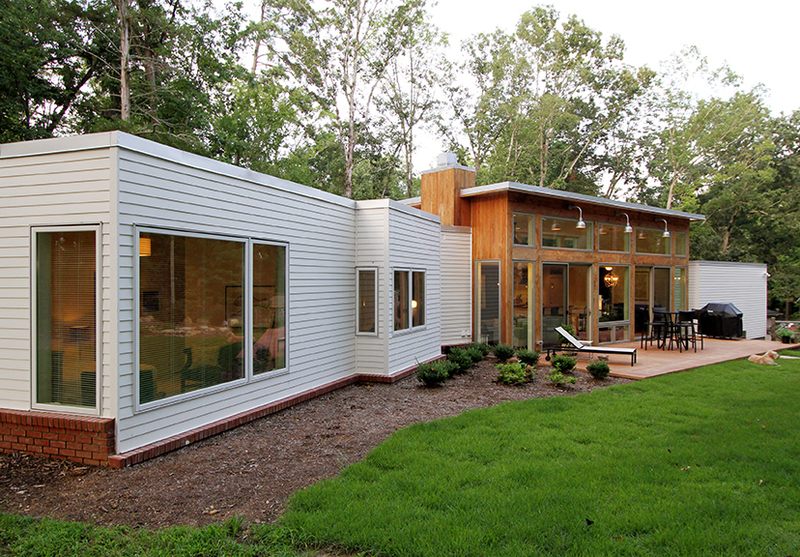 Featuring John Reese, Mike Rantilla, and Vinny Petrarca; winners of the 2012 juried Matsumoto Prize for North Carolina Modernist residential architecture. 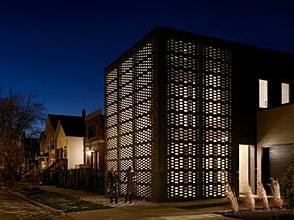 This unique competition featured $6,000 in cash awards and a blue-ribbon jury of internationally known architects. Destroyed in a dramatic and highly-publicized 1970's implosion, the giant Pruitt-Igoe public housing complex has become a widespread symbol of failure amongst Modernist architects, city and Federal politicians, and the residents themselves. This film explores the social, economic and legislative issues that led to the decline of conventional public housing in America while tracing the personal and poignant narratives of several of the project's residents.